Heightmaps need to be minimum 0.5 grey if they are next to another object because black will push in, white protrudes. 0.5 is the normal level. 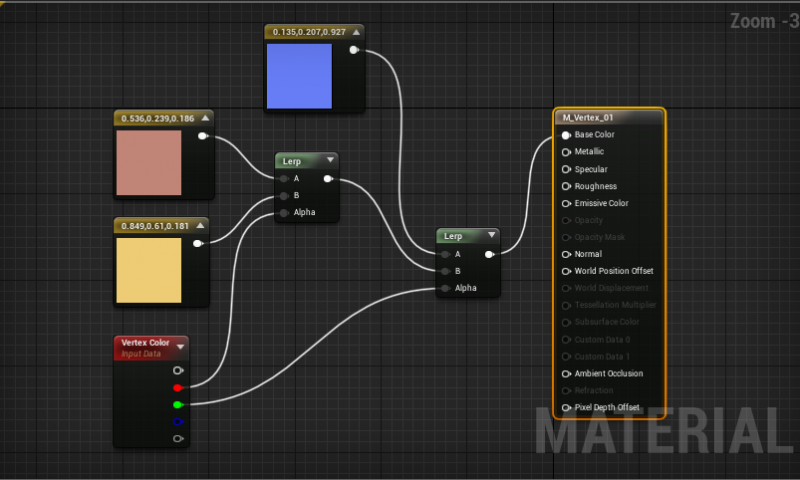 Refer to UE Materials Reference UE project for fancy effects! Linear Interpolate between colours using the Vertex Colour node. Select the the channel you are using on the LERP to adjust vert colours. Hold Shift while painting to Erase. 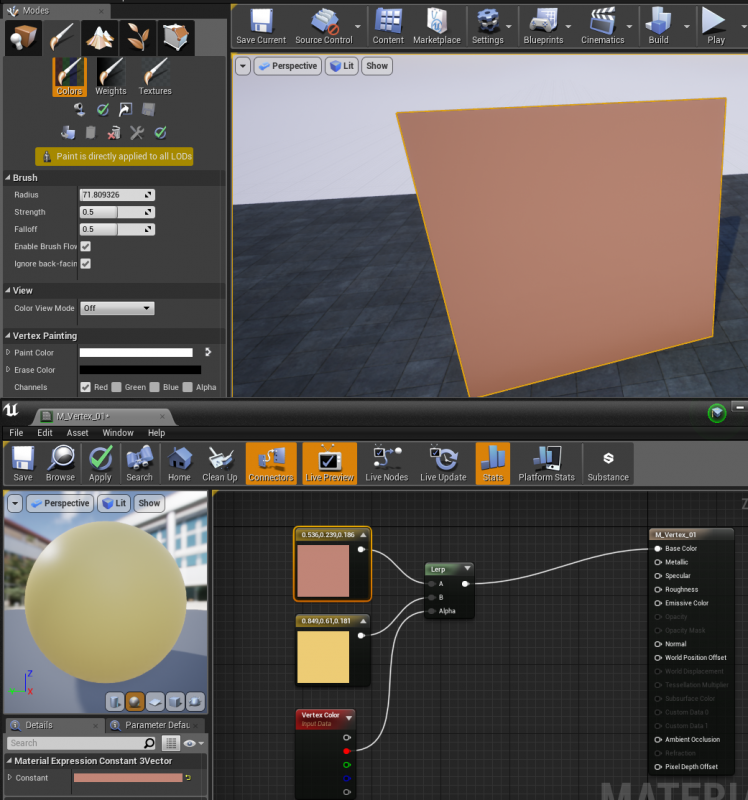 Important: When creating PBR textures, basecolor should be between the 50-240 V range (HSV). Read the Allegorthmic PBR guide.